Since 1969, Air Jamaica has been providing what is lovingly referred to as ‘Lovebird Service’ to and from the UK, the US, Canada, and around the Caribbean. 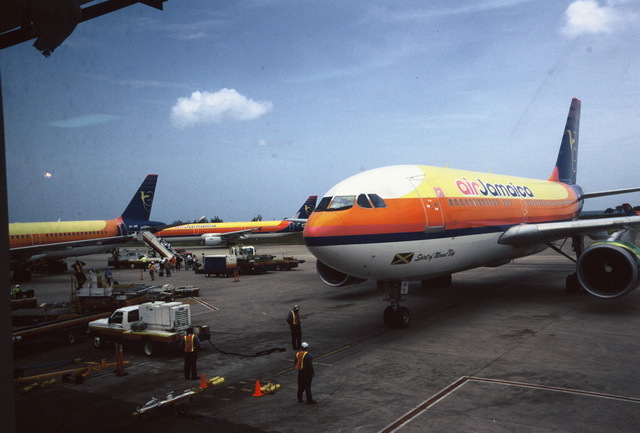 Voted “World’s Best Airline to the Caribbean,” Air Jamaica set and maintained a high standard for many years. That 40-year history came to an end Friday April 30th. On that day ownership of Air Jamaica transferred over to Trinidad-based Caribbean Airlines. Air Jamaica’s final flight as Air Jamaica came into Norman Manley Airport in Kingston at 11:00pm. As has been characteristic of the airline over the past several years, the last flight was late. During the takeover, Caribbean Airlines will continue to operate Air Jamaica’s routes. Over the next 6 to 12 months Caribbean Airlines will phase out the Air Jamaica brand. (More details in this ATW Online article). The deal is not without animosity. As quoted in Jamaica’s Sunday Observer newspaper, passenger Vesta Brown bemoaned, “The one little thing Jamaica have, them sell it.” Add to that the bitterness felt by some toward who is taking over. Many factories have left Jamaica and headed southeast in search of cheaper labor on Trinidad. In a case of the smaller fish eating the larger fish, Trinidad seems to be buying up Jamaica little by little. But that’s a blog post for another day. Even with all of the problems Air Jamaica had, it was still the national airline. It was like family. Now that is gone. And with it, a lot of good jobs. Air Jamaica has been financially troubled for some time. I mentioned this and other problems Air Jamaica has had in a 2005 article I wrote for the Expo Update titled “Jamaican Economy Blown by Winds of Change.” Under a crushing debt load, Air Jamaica – and as part owner, the Jamaican government – was forced to do something. To their credit, they did their best to keep the operation Caribbean-owned. But many residents feel that something more could’ve been done to save the carrier. Last month, the Sunday Observer ran an article entitled “Emotional ‘Last’ Journey on ‘Lovebird’”. The demise of Air Jamaica has left me a bit emotional, too. 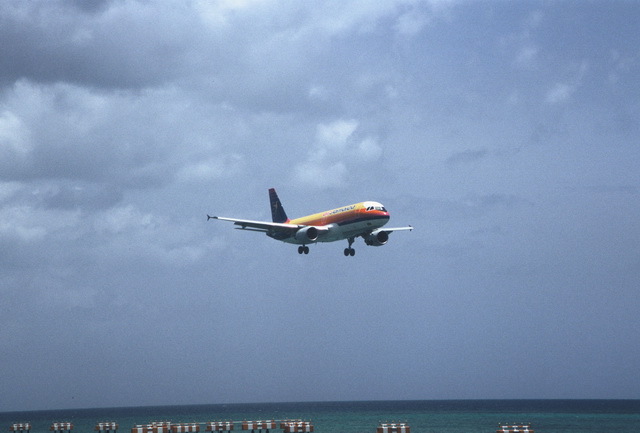 It was Air J (as Air Jamaica is affectionately called on the island) that I flew with on my first visit to Jamaica. I will never forget the feelings I had starting with boarding the jet at LAX. The friendliness of the crew. The beautiful, colorful uniforms. Being served banana chips with the meal (yes, this was back when airlines used to serve meals). Champagne breakfast service in first class and economy! It was Air J that made it possible for me to make a side trip to Curaçao, an island I dearly love and want to retire on. Had it not been for Air J, I probably would never have experienced Curaçao, Kura Hulanda, the language of Papiamentu, or learned about Izaline Calister . But I digress. Air Jamaica’s passing has affected me in more than just a sentimental way. Last year Air J stopped servicing the Atlanta and Los Angeles markets. Left with no direct route to Jamaica and much higher fares on other airlines, we were forced to cancel our annual trip to the jewel of the Caribbean. This year we missed the 20th Annual Jamaica Ocho Rios Jazz Festival – an event our group has participated in almost since its inception. Jamaica has become a huge part of me. I love the island and its people. So it’s hard to see their, excuse me, our national airline go out like this. I will miss Lovebird Service. I will miss the kindness and friendliness of the crew. Of course, I will miss the crew themselves. I will miss the livery. I will miss the flight attendants announcing our destination as “Los Angeleez.” I will miss non-stop flights from LAX to Jamaica, sleeping en-route, and waking to a Caribbean sunrise at 30,000 feet. I am praying for those who will lose their jobs as a result of this change. Air Jamaica, farewell.